Aerovent Australia specialise in the design and manufacture of heavy duty, high quality single width single inlet (SWSI) and double width double inlet (DWDI) centrifugal fans. Of robust design and suitable for a range of applications from heavy industrial to large commercial, Aerovent Australia fans are designed and purpose built to achieve specific duty requirements. With reliability and longevity in mind, Aerovent Australia uses only the very best quality components available. 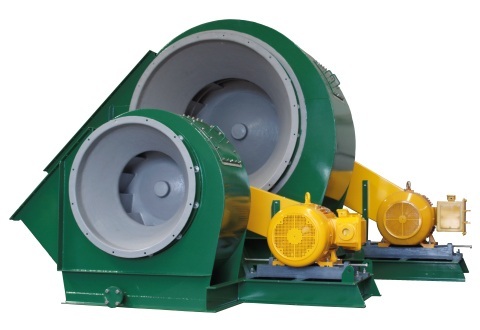 Centrifugal fans are available in direct drive, direct coupled and vee belt drive configurations. Variations in these configurations are available in order to suit exact installation conditions. For smaller applications, Aerovent Australia provide forward curve multivane fans and pressed construction high pressure fans in both mild and stainless steel. As most parts are off-the-shelf, speedy deliveries can be effected for these economical fans. Our experienced staff are always happy to oblige with technical advice, fan selections and pricing.